Teeth play an essential role in the human body. If damaged or decayed, tooth extraction is necessary to avoid major dental problems. At The Holistic Dental Center, we offer holistic tooth extraction to the community of Spokane and surrounding areas. Orthodontics. Give space to prepare the mouth for orthodontics. The proper alignment may not be possible if the teeth occupy much in the mouth. Gum Disease. The bacteria in plaque may infect the gums that hold the tooth. The infection may get worse and cause the tooth to become loose. Infection. If tooth decay reaches the pulp (the soft, sensitive tissue inside a tooth), it will infect the nerves and blood vessels inside the tooth. The tooth will then be removed to stop the infection from spreading. Risk of Infection. If the immune system is compromised, all the possible risk are eliminated. 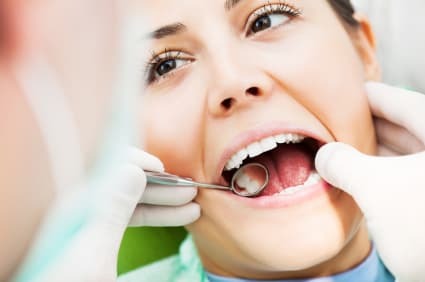 What makes holistic extraction different than traditional tooth extraction is that the procedure removes the diseased tissues along with the tooth. It can be more costly than traditional extraction and a lot complex. However, it reduces the risk of further complications which will save patients from spending more in the future. Before the surgery starts, a local anesthetic will be administered for a comfortable and painless procedure. Acute Rescue will also be offered for patients with dental anxieties. During the procedure, the tooth and diseased tissues will be removed. Post images may be required to ensure the all the tooth parts are removed. The holistic extraction may affect some aspects of an individual, and the healing process takes a lot of time. In this case, the post care for the patient is necessary. Some additional treatments may also be needed to increase the possibility of successful healing, paired up with instructions to be done at home and some protocol to reduce stressful healing. If you are in search of an expert in Holistic Extraction in Spokane, then The Holistic Dental Center is here for you. Our team can provide you the highest quality dental care available because our top priority is the well-being of our patient. We are located at 731 W. Indiana Avenue, Spokane WA 99205.